When your audience feels you are real and genuine, they accept you and your message as reliable and trustworthy. If you’re authentic, you’re the author of your life’s script. You have processed information from your culture, from your parents, family and friends and from your work but they are not dictating your actions. You have chosen to be who you are but more importantly your actions need to demonstrate this truth. A large company asked me to work with a member of their Speaker’s Bureau. The young man spoke at community events endorsing their services but was getting poor audience evaluations. When he gave his usual presentation, his body language and voice were not congruent with his words; he seemed very uncomfortable. I asked him how committed he was to the company goals. He was taken aback but then responded, “Not at all. I don’t believe in what they are doing.” I replied, “All of my coaching won’t make a bit of difference if you’re telling stories you don’t believe in. Your audience senses a lack of authenticity immediately. We need to find a company issue you do support or perhaps the Speaker’s Bureau isn’t a good fit.” He agreed. Later I heard he left the company. Your voice, body language and words should all say the same thing. Otherwise, the audience gets mixed messages and end up confused. Being authentic starts from the inside. The closer you get to your identity, the more powerful you will be. And you will find that effective body language happens naturally. 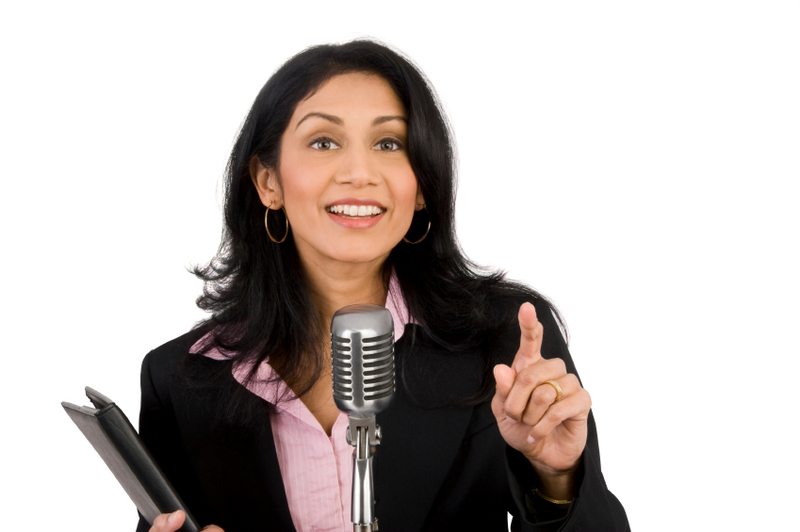 Are you fortunate enough to be speaking on subjects you are passionate about? Keep it simple. Don't try to imitate others.Guard against an increasing online virtual life because there is a tendency to construct artificial profiles that can overflow into reality. Have faith in yourself just as you are. Do your homework. Believe what you have to say is important, useful to your audience and represents you. Mother Teresa fought against self-doubt on a daily basis. However, she was an authentic saint because her actions were always saintly. In Margery Williams' The Velveteen Rabbit, the Skin Horse explains becoming real. "It doesn't happen all at once. You become. It takes a long time. That's why it doesn't happen often to people who break easily, or have sharp edges, or who have to be carefully kept. Generally, by the time you are Real, most of your hair has been loved off, and your eyes drop out and you get loose in the joints and very shabby. But these things don't matter at all, because once you are Real you can't be ugly, except to people who don't understand." Just think, one of the few perks of growing old is that we will become much better speakers because we become more authentic! Resources; The Art of Possibility: Transforming Professional and Personal Life by Rosamund and Benjamin Zander. Mr. Zander is conductor of the Boston Philharmonic and Mrs. Zander is an executive coach and therapist. Inspiring book that invites us to become passionate communicators, leaders and performers.